CloudHPT has been awarded the prestigious “Cisco Master Cloud & Managed Services Partner of the Year Award”. 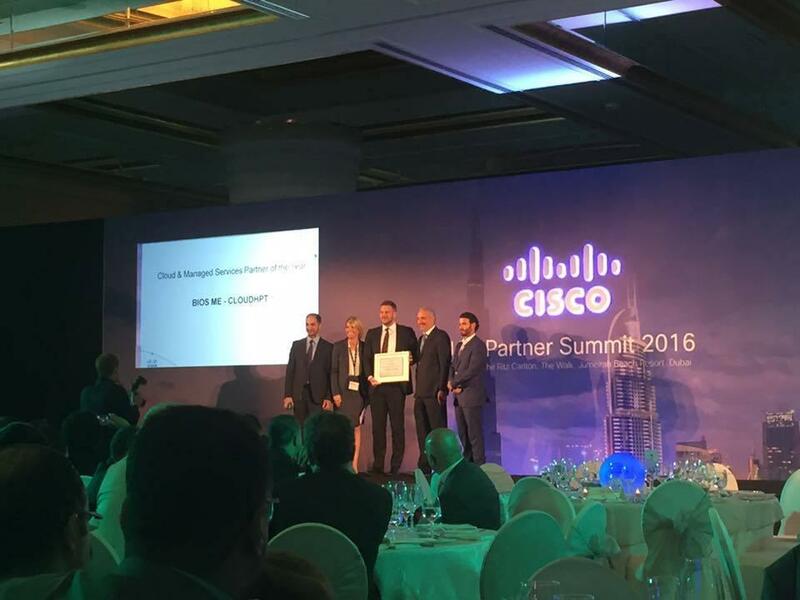 Cisco showcased the winners at their UAE Partner Summit which was attended by over 200 partners, delegates including CXOs and senior technical professionals at the Ritz Carlton in Dubai, UAE on 24th May 2016. This award recognizes the company that uses best-in-class practices and serves as a model to the rest of the industry. Areas of consideration include their innovative practices and process, architecture-led approach successes, and strategic business focus that result in customer success. The Master Cloud & Managed Services Partner of the Year Award recognized CloudHPT as the first and only partner to achieve Master Cloud and Managed Services Certification in the UAE, with record performance in Q1 2016. The innovative approach to deliver enterprise grade and low latency cloud services with TX and T4 local DC’s, and a strong 24/7 support team sets apart CloudHPT as a leading provider of Cloud and Managed Services.